The main purpose of the TAG Accountants Community is to support professional advisers by providing them with access to the knowledge and experience of the best technicians in the field with the aim of generating real tangible benefits for them and their business clients. We do not seek to ‘tell others’ what they should do, but recognize the individuality of each separate firm, and only seek to ‘add to’ the learning of others. We are learners and will always be changing because we are always learning. 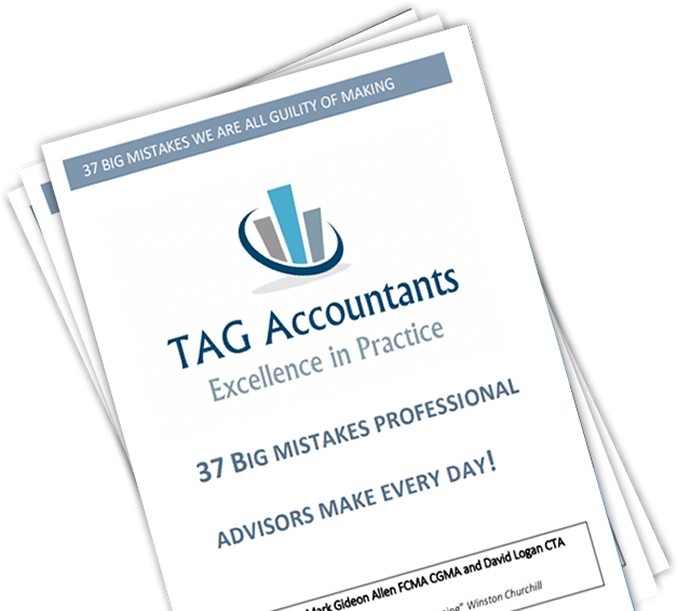 Complete your details below to instantly receive your FREE pdf booklet on the 37 mistakes Professional Advisors make Every Day! The book comes with some key tips to help you WIN new Clients!